Every other Tuesday we have to kill a few hours between 6 and 10 p.m. so we try to find some great dinner specials. 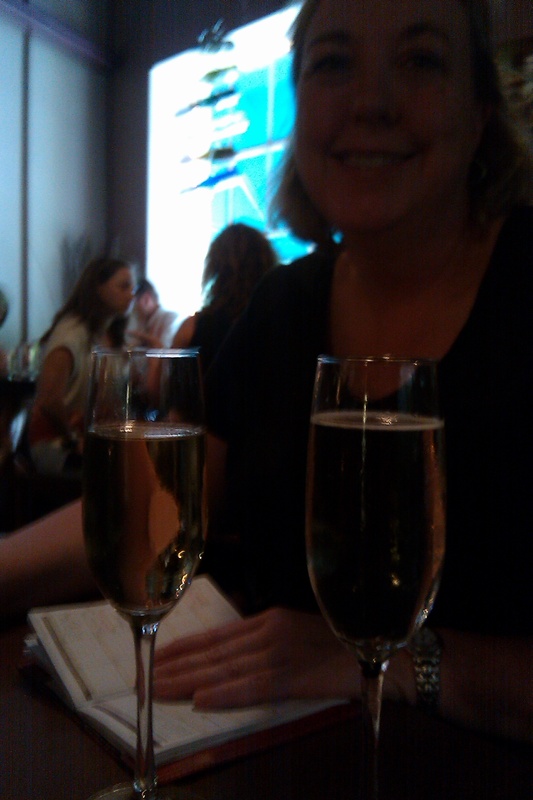 Columbia’s Cellar on Greene has one of our favorites: Champagne Tuesdays. We sampled four different sparkling wines, including a dry, sparkling Reisling that was very tasty. The Clara C prosecco wasn’t quite dry enough for me, but Jan enjoyed it. My favorite was the Cava Brut, Poema Extra Dry, from Spain. All the wines were less than $8 a glass. On this particular Tuesday, there also was a wine-pairing three-course dinner for $27 in addition to Cellar’s usual $19 three-course offering. We opted for the usual offerings, I started with a duck duo, one is Cellar’s house-made duck proscuitto and the other is medallions of five-spice seared breast cooked to perfection. The fried calamari was tender and the breading was light and yummy. 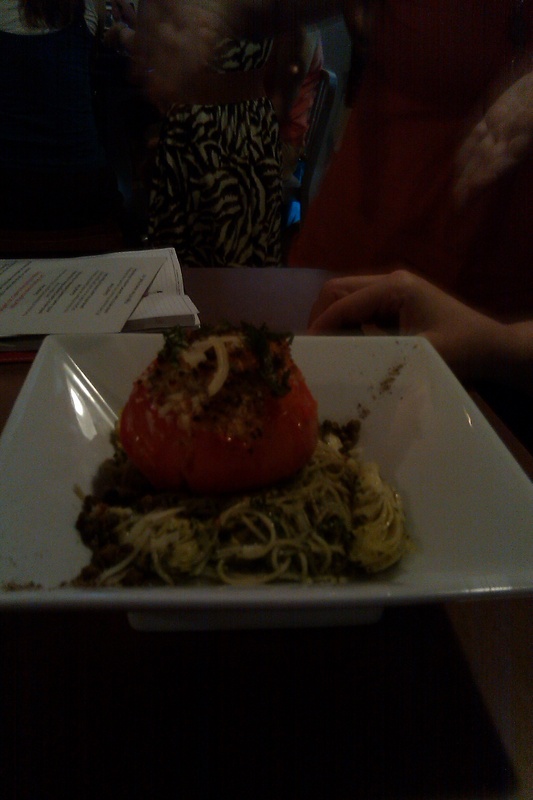 A new offering for the second course was a stuffed tomato over pasta with an artichoke and pesto sauce. This vegetarian dish packed more flavor than most and the pesto was almost as good as mine. I had the pork tenderloin with mashed potatoes and green beans. It wasn’t as flavorful as the pasta, but it was perfect for me. For dessert, we ordered the fried poundcake and the berry tart. The poundcake is drizzled with caramel and the tart has so many berries and flavors, it just explodes in your mouth. The whole evening was $75 with tax and tip. I recommend getting to the Cellar a little early, say before 7 p.m., as Champagne Tuesday is very popular and you may end up waiting on slow pokes like us if you want to eat. This entry was posted in Dining Out and tagged cellarongreene, columbiasc, diningout, explorersguidesc. Bookmark the permalink.